Description: Did you know that Aberdeen is one of the best places in Europe to see bottlenose dolphins? RSPB Scotland staff and volunteers will be at Torry Battery every Thursday – Sunday, from 11am – 6pm until 20 August to help you to witness the dolphins’ spectacular displays and learn more about Aberdeen’s amazing coastal wildlife! The Dolphinwatch team will provide information, binoculars and various drop-in activities for families. Keep an eye out for special additional events such as guided walks, rockpool rambles and beach cleans. Please note: Dolphinwatch does not operate in bad weather. With the summer holidays on the horizon– let the kids bounce into a world of inflatable fun. Big Bounce @ Bon Accord is returning to Aberdeen city centre for the second consecutive year, after the success of its debut in 2016. The weekend-long event will see giant inflatables fill the Roof Garden on top of St Nicholas mall and offers everything families could need for a great day out – whilst raising money for charity One Great Day. Description: Join staff from Macduff Marine Aquarium as they bring their seashore critters into the city – a rare excursion out while the aquarium’s major exhibit is being refurbished. Enjoy some close encounters with some North Sea inhabitants of the boneless kind – come face to face with starfish, hermit crabs, urchins and more, and find out how they make their living on the North Sea shores. Father’s Day colouring in at Waterstones! Description: Help us colour in this glorious giant! To celebrate all the Dads and Granddads in the world we’re having a craft-filled Saturday of colouring in, making our own Father’s Day cards and reading our favourite stories, including David Litchfield’s Granddad’s Secret Giant! So sharpen your ears and your pencils and come along to share your creativity with us! Description: Free Family Fun at The Sand Bothy. Getting hands-on with nature. Have a go at minibeast hunting, treasure hunts, and fining natures colours. No need to book, but let us know if you are interested! Description: Entry by ticket only unless capacity allows. Come and join the ROBOT COMBAT sessions! Description: Aberdeen’s Highland Games returns to Hazlehead Park once again on Father’s Day making it a great day out for all the family! • Dogs are welcome but please keep them on a short lead at all times. Bring along their bowl as owners are welcome to use the water tap available on site for their four legged friends. Description: The Bon Accord Steam Engine Club hold a Steam Fair every year, and since 2004 our fair site has been at Castle Fraser, the Steam Fair has grown in size since coming here and in 2010 the club celebrated their 40th Anniversary at the rally with 40 full size engines present and many more attractions on site. Description: Give that special man in your life a treat on Fathers Day (Sunday 18th June) with a footplate ride on a steam locomotive, while his party enjoy a ride in the comfort of one of our period MkII coaches. The rides take place as part of a normal scheduled service. The lucky man will be able to watch how the driver and fireman operate the controls and experience the thrill of travelling in this unique and unusual situation. Price : Only £10 + normal £6 steam ticket. Members of the accompanying party pay normal steam service fares. Minimum age limit 16+ years. Minors taken on must be accompanied by a guardian & at the discretion of the loco crew. No maximum age limit…………..as long as they can stand! custard pies, banana delight and it’s so fluffy!! So come and join the minion madness where little ones can go bananas and mess around, and you can leave the cleaning up to us! Description: Come along and enjoy one of our Morning Feed events throughout this week. Today we are hosting a children’s craft morning in the Bistro. You can come along and enjoy our Morning Feed Special of filter coffee/tea and a delicious cake or bake from our Morning Feed menu for £4 per adult and £3 per child including diluting juice and cake/bake. Our staff will be available to give you information on holding your very own Morning Feed event to help raise funds for the charity. For more information on any of our Belwade Farm events please call 013398 85398. Description: As part of our week of Morning Feed events today you can meet Digger our adoption horse from 11am till 11.30am at the entrance to the visitor centre. You can then head into the Bistro and enjoy a filter coffee/tea and choice of cake/bake from our Morning Feed menu for £4 per adult or £2.20 per child with diluting juice and a cake/bake from the menu. Description: As part of our Morning Feed week we are welcoming you and your dogs to join us for a guided farm walk. As well as the stunning scenery that you can enjoy along the way you will have the opportunity to ask our staff questions about the charity, Belwade Farm and the horses and ponies currently in our care. The walk will leave the visitor center car park at 11am prompt and will take about 40 minutes. You can then enjoy your well-earned Morning Feed on our dog friendly decking area. This includes filter coffee/tea or diluting juice and choice of cake/bake from our morning feed menu. Total cost is £6.50 per adult and £4.50 per child. Description: Join us on the 23rd June from 7pm for our next Adult Takeover Evening. 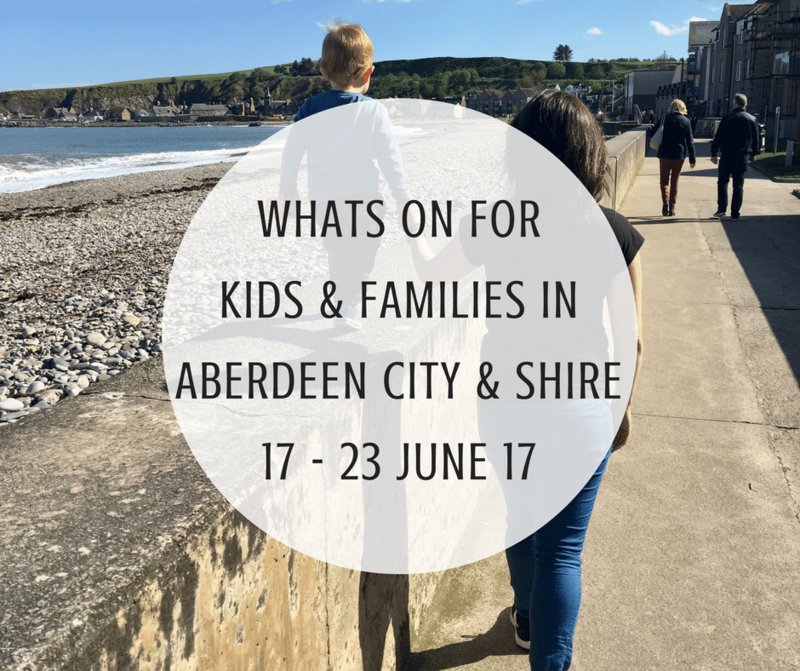 Ever wanted to explore Aberdeen Science Centre after hours? This is your chance! Join us from 7-10pm to discover the world of gaming and play with local experts and fun games! Discover how technology developed for video games is used in applications such as teaching surgery and to help understand conditions such as Alzheimer’s. Challenge your gaming skills in our Lego Mindstorms challenge or join the Locked Door to test your problem solving skills! Please note, due to the presence of a licensed bar this event is for over 18s only.